The festive season is finally in full swing. December’s arrival has officially marked the start of happy days according to social terms and nothing says African summer more than a calendar filled with all sorts of activities and events. From street markets to carolling, fancy barbeques to dinners in vernacular restaurants, here’s a guide to must attend festivities happening in the country in the next two weeks. The first weekend of merriment sees its kick off at Alliance française de Mbabane. The Francophone cultural centre and language school will be hosting its Christmas edition lunch concert and flea market. Just imagine an afternoon spent in the atmosphere of great music, thrift shopping and delicious French cuisine. 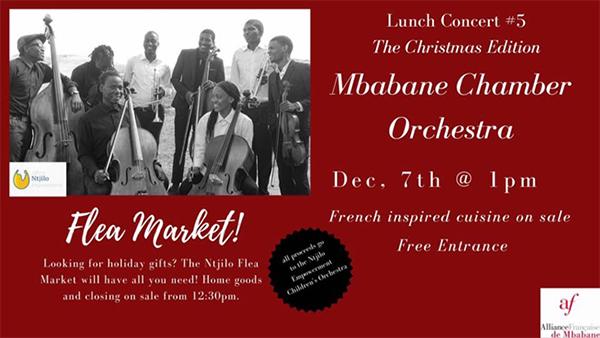 Guests will be treated to the classical sounds of the Mbabane chamber orchestra and the flea market will make for a great starting point for all your Christmas gift shopping. Entrance is absolutely free as well and if you are philanthropic at heart you will definitely want to add this event to your calendar as all funds raised by the flea market go towards a great organisation known as Ntjilo empowerment which teaches music to children in a local disadvantaged community known as Mahwalala. Then, on the 8th of December, save the date for the Gin and tonic affair that will be hosted at Swazi Lizkhar which is located in the beautiful Ezulwini valley. This event is a definite must for all cocktail lovers or pretty much anyone interested in enjoying a laidback day of gourmet food, amazing music and Instagram worthy drinks. The lifestyle event will focus on the appreciation of Gin and will allow attendees to experience all sorts of creative gin twists and delightful food pairing. What’s great about the Gin and Tonic affair is that it is also child friendly; with a kiddie’s corner designed to keep the little ones entertained while you explore and savour the day. 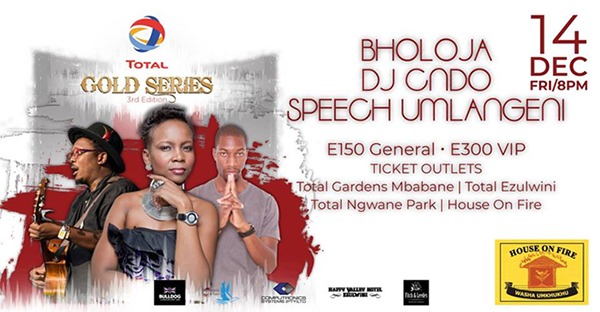 Forty bucks gets you in and just thirty emalangeni for the children. And of course, nothing can get us into the gleeful mood quite like Malandela’s annual Christmas styled fest known as Merry Malandelas market. The weekend long shindig will start on the 7th of December and end on the 9th. If the idea of food, wine and art convening under one ‘roof’ is your ideal image of fun then this is your kind of party. Great for the whole family, it promises to be full of festivity and joy, starting with a lively night market on the Friday, Santa and a social on Saturday and all sorts of exciting things to do and be a part of such as live music, Christmas drink and food specials, as well as many unique stalls to shop from. And here’s the kicker: It’s also FREE. The following week will then usher in another Alliance française de Mbabane event happening on the 13th. This time, the cultural centre in partnership with Centro Cultural Franco-Moçambicano, will be hosting legendary Mozambican artists Chico Antonio and Smadj, whose music will bring a futuristic electro sound to the city’s urban culture scene. Music lovers will be absolutely enthralled by this experience. Then, on the 14th of December, all roads will lead to House on fire for the second instalment of The Total Gold series. Which so happens to be a classy musical affair put together by the producers of MTN Bushfire in partnership with Total Eswatini and targeted towards an audience that enjoys the finer things in life. Tickets are already available and prices can be found on the events Facebook page. If upmarket is your middle name, then this is certainly for you. 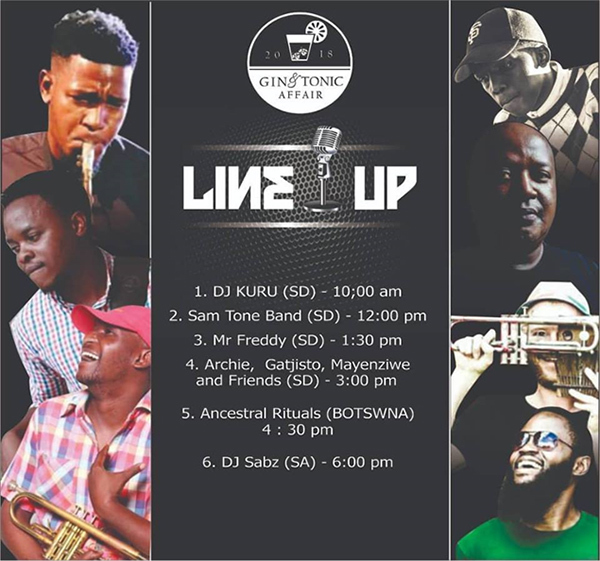 Now, if you’re reading this and are finding yourself convinced that the first two weeks in Eswatini’s social calendar are purely reserved for music and lifestyle events; you might want to rethink that. 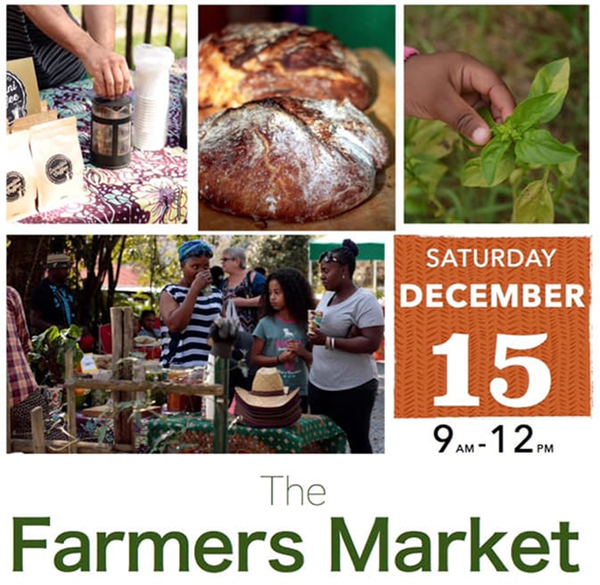 The Ekuphileni Farmers market happening on December 15th is also high up on our to-do list. I personally can’t think of anything better than spending a summer morning shopping through stalls of locally grown produce, freshly squeezed juices and home-made jams. This monthly event which was conceptualised and launched by Ekuphileni Wellness centre just this year was created to address sustainable and healthy living while promoting awareness on sustainable agriculture and making popular urban permaculture which has in recent years become a trend in most cities globally. The market will be last one for the year and I plan on making a mini cameo there. I hope you will too. Judging from all these festal happenings, Tis definitely the season to visit Eswatini. The first half of the month is brimming with interesting events to participate in and attend. From cocktails served on sprawling lawns to live musical performances in cultural centres to even more relaxed hippie-like gatherings for outdoorsy green finger enthusiasts. The country is full flavour mix of all sorts and it wouldn’t be a month of good cheer without any amusent. The best time to visit our little country is now and if your passport is ready and your bags are five minutes from being packed, then the Mountain inn is ready to welcome you. The best memories are made at this time of the year and looking at the way this event guide is set up, it’s not hard to say that there won’t ever be a dull moment for you on this side of the continent. The only question now is; are you ready to take the trip?